5 Hills Out are a 5-piece folk-punk band of misfits from Derbyshire, determined to make their mark on the folk scene. 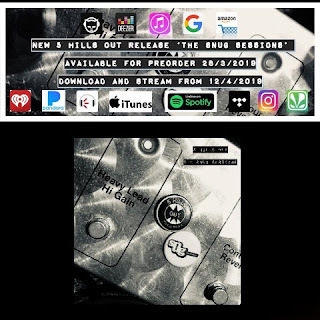 Inspired by the heritage and customs of folk and the aggression and energy of punk, 5 Hills Out combine traditional accordion, saxophone, guitars and mandola with a rocking rhythm section of fretless bass and drums. The band generate a formidable sound scape set against their passionate and crafted shows. Stripped down acoustic arrangements, sit alongside driven punk anthems. This song variation and instrument swapping ability help give 5 Hills Out a great live edge. Their sound and attitude is refreshing and shows their eclectic influences taken from the likes of The Levellers, X-Ray Spex, Richard Thompson, Stiff Little Fingers, New Model Army and Gogol Bordello. The band have played extensive live shows around the Peak District, which enabled the self-released debut acoustic EP 'No Way In' in 2016, on all major download platforms and a limited-edition CD run. They released their second EP ‘Still Outside’ in Autumn 2017, which showed the bands diverse electric capabilities. Now the band are on the brink of releasing a double single in early 2019 called ‘The Snug Sessions’, which is their most accomplished writing and recording to date. ‘The Snug Sessions’ will be the bands first release on their own label Culvert Collective Recordings. This builds on their debut acoustic EP ‘No Way In’ and their follow up EP ‘Still Outside’, which got the band nominated for best folk act 2018 on Radio Wigwam. The band have never shied away from using their music to share their political and social views. In 2018 they took part in a protest march to protect a threatened local music venue and more recently shared and supported a campaign to protect the very same studio where they recorded. Track two ‘The Divide’ is all about sticking together through the current political unrest and climate of division. Ben recently showcased ‘The Divide’ whilst on a business trip to Berlin, managing to play at a different venues on each of the six nights he was there. He reflects “Berlin was incredible, the music scene is so vibrant out there. I was a bit nervous about playing ‘The Divide’, but felt given the political past of the city, the song would resonate with listeners. It did, they absolutely loved it, each night everyone was joining in on the chorus about us all coming together”. Preorder will be from 28th March with full release on the 12th April from all major download and streaming services. 10 years. I couldn’t imagine back in 2009 that this day will come. 4.095 followers on Facebook. 2.307 followers on Twitter. 412 followers on Youtube. 527 Reviews. 84 samplers. 90 bootlegs and around 1.000 videos posted. 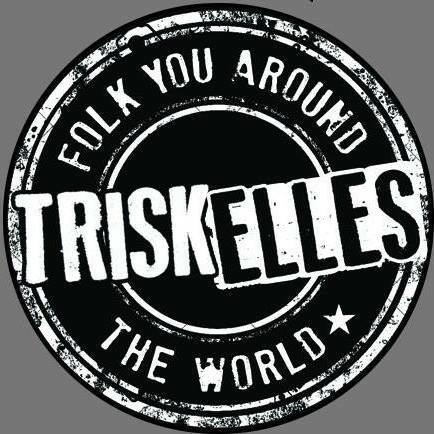 When the best of 2008 was discussed on the Shite’n’Onions forum, it was mentioned that more info about Celtic punk bands from Europe was needed. Then, I started to post some samplers there. I looked for free mp3 files on the Internet (MySpace and other sites, apart from the bands’ websites) and put them together for free download. I had no plan, but I felt that more coverage was needed and therefore I started the webzine Celtic Folk Punk and More. Six samplers were posted on March 21, 2009: Vol. I The Netherlands, Vol. II Switzerland, Vol. III France, Vol. IV Italy, Vol V Belgium and Vol. VI Austria. Little by little, more sections were added: free downloads, boots, news, videos, featured band (Band of the Month) and the reviews. The samplers were left behind when the scene went stronger and global. And some people suggested that I should make a podcast or work on a 24/7 streaming radio. I bet on the second option and Celtic Folk Punk radio was launched on Radionomy (March 8, 2013). 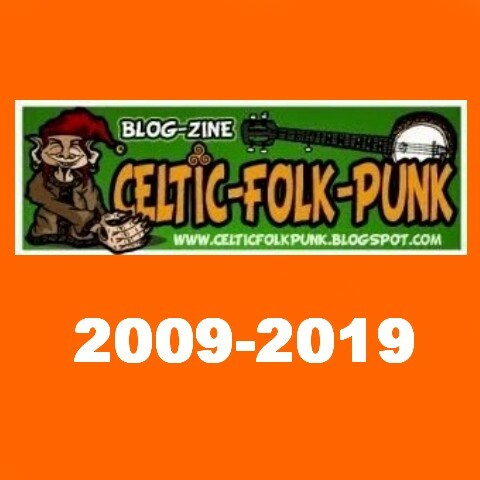 When Celtic Folk Punk and More was established in 2009, there were basically 3 e-zines/podcasts/streaming radios: 2 in the USA, Shite’n’Onions and Paddy Rock Radio and 1 in Europe, Celtic Rock (in German). Celtic Folk Punk and More was the first e-zine to feature bands from countries such as Indonesia, Hungary, the Czech Republic … Little by little, other projects were launched by fans from other countries: Irish Punk Brasil (January 1, 2010- July 5, 2016), Paddy O’Punk Podcast (2011-2013, we miss you Drazzle! 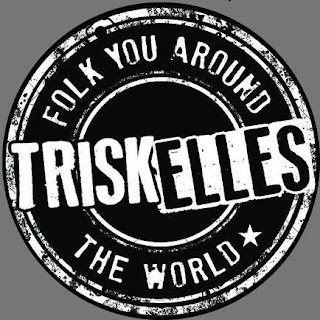 ), Rocking the Craic (June 23, 2011-May 31, 2013), Celtico (March 2013), London Celtic Punks (July 2013) … And even a 24/7 streaming radio from Germany has turned into a successful business. Yes, the scene has changed. But one thing is for sure: Celtic Folk Punk and More has been at the forefront of this scene and has become a cult e-zine. Its legacy is huge. The ones that were there before CFPAM did a fantastic work. But CFPAM changed the rules: most of the e-zines were based on a “push” strategy, but CFPAM bet on a “pull” strategy. The bands send their stuff to the e-zines (“push”) and CFPAM looked for new bands and posted their stuff (“pull”). CFPAM reached its peak in 2016-2017. Paddy Rock Radio and CFPAM began to cooperate and CFPAM also supported new podcasts such as Paddys Home and Pub Podcast and The Celtic Punkcast. Then I realized that things were changing and I went back to basics in 2018. For the first time in 10 years I had goals: posting my 500th review and focusing on new bands. I should have posted a couple of reviews (drafts are somewhere on the PC), but after checking out and got the confirmation that my 500th review has been posted, I gave up writing reviews. (Two records by some bands were reviewed on some posts). Then I kept on posting about new bands that other sites have not talked about. Somebody told me that the e-zine was less interesting during the second half of 2018. Quite the contrary! It’s too easy to help popular bands. But, who cares about new bands? These are the ones that need help. I will keep on adding videos to the Celtic FolkPunk YouTube channel and playing the music that I got on Celtic Folk Punk radio. But I won’t write reviews. As I said, this is music, not about music. Anything to celebrate the 10th anniversary? Hell yeah. I’ll be posting a full concert video everyday till March 21st. The first one? The Pogues live in Munich (1985). Enjoy! 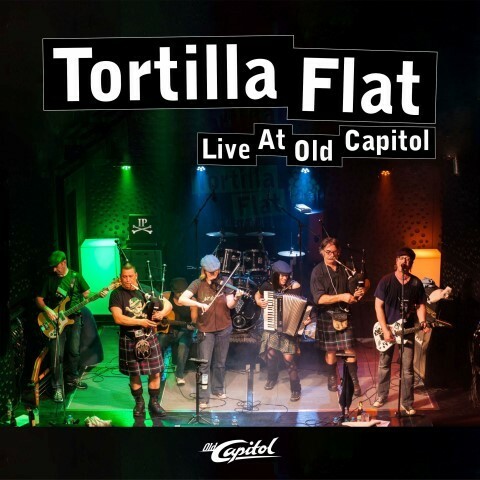 Tortilla Flat are releasing their new album Live at Old Capitol next March 15, 2019. Apart from the CD, some copies of a DVD will be available too. There is a bonus track on the DVD, "The Wild Rover". TORTILLA FLAT - Live at Old Capitol from Steve Diener on Vimeo. 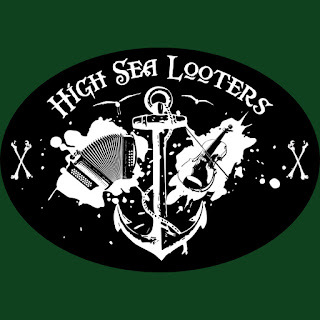 High Sea Looters hail from Switzerland. 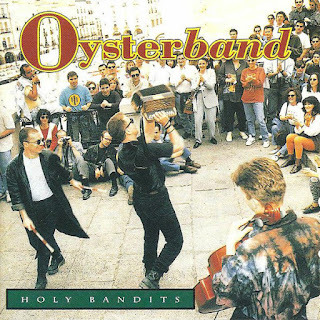 The band was originally acoustic (guitars, fiddle and accordion) and then they added a rhythm section. They released their debut album "The Beginning" in 2016 and after a 2 years hiatus they're back with a new EP. 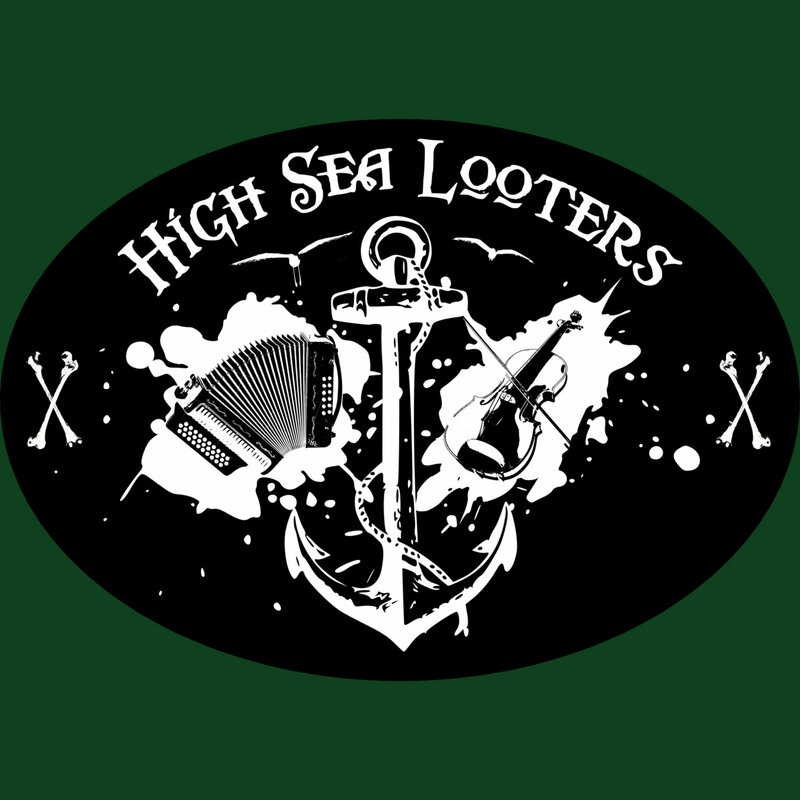 The songs from the "Hcheum" EP are already on rotation on Celtic Folk Punk Radio.